THE addition of a pair of Model 374 LAN transceivers, available from Boston Technology , along with a pair of switching hubs, allows a local area network (LAN) to be extended to a distance of 14 kilometres. When this is attempted with twisted pairs and repeaters there is usually concern with electrical interference from other equipment, ground loops, surges and lightning which may strike in the vicinity of the cable link. These potential problems all disappear with the Model 374 LAN-Spreader since the connection between the server and workstations is single mode fibre optic cable which is impervious to all of these disturbances. The signals of the 10Base-T port are converted to optical signals and driven over fibre cables. 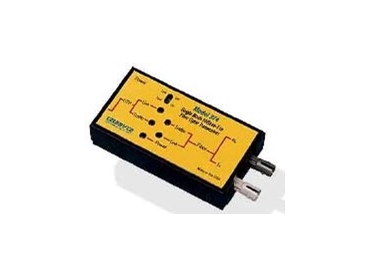 A group of five LEDs provide indication of fibre optic link monitor, twisted-pair link monitor, collision, traffic and power. An SQE switch ensures compatibility with both old and new Ethernet adapters by allowing the user to enable or disable the SQE Heartbeat option.